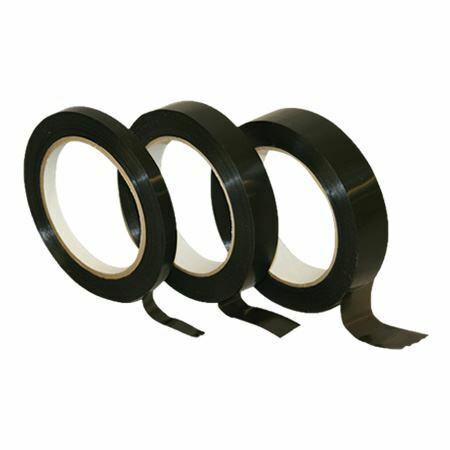 Tensilized Polypropylene Black Strapping Tape. Acyrlic Adhesive. 2.7 mil thickness / 90 lbs. Mainly used for strapping and utilizing bundles and pallet loads. Resistant to high temperatures. © 2017 MLR Packaging Supplies & Equipment. All rights reserved.